It is perhaps debatable how apt this post is for this community, but personally I am always interested in the story behind the pretty people only remembered through their photos. This is a compelling story about the beautiful spy and fashionista Dagmar Lahlum, who lived a decadent life in Oslo during the occupation. Her pictures accurately represent the war era fashions, so if you wish, you can just ignore the rest of the story, just for that. The sewing- and fashion-obsessed Dagmar Lahlum was courted by the Abwehr "spy" Eddie Chapman**. They became a couple without knowing that they were standing together on the allied side. The double agent Eddie Chapman began his relationship with Dagmar whilst living for a year in Norway during the war. The story about the brave, Norwegian woman is a dramatic tale of love and tragedy, shame and honour, espionage and treachery. Not until now, after the publication of MI5's folder on Dagmar, is her real role in the war revealed. The story is described in a book by the British editor Ben Macintyre. Dagmar Lahlum was an adventurous fashionista from Eidsvoll, who moved to Oslo at the age of seventeen. At one point during the war, she must have been recruited to the Norwegian resistance. This is the conclusion of MI5. One April evening in 1943, when Chapman was sat in the mahogany bar at Hotel Ritz at Skillebekk, a popular water hole for German officers and members of the Norwegian national socialist party, his eye fell on a beautiful woman with a décolletage and high heels - smoking Craven A cigarettes in an ivory mouthpiece. The womaniser Chapman contacted her, and did not suspect that 21-year old Dagmar had other reasons to haunt the Nazi nest, than being bought drinks in a fancy bar. Dagmar thought Chapman worked for the Germans, he thought she was a "German whore". Nevertheless, they soon became a couple, one without knowing that the other was also working for the allied forces. 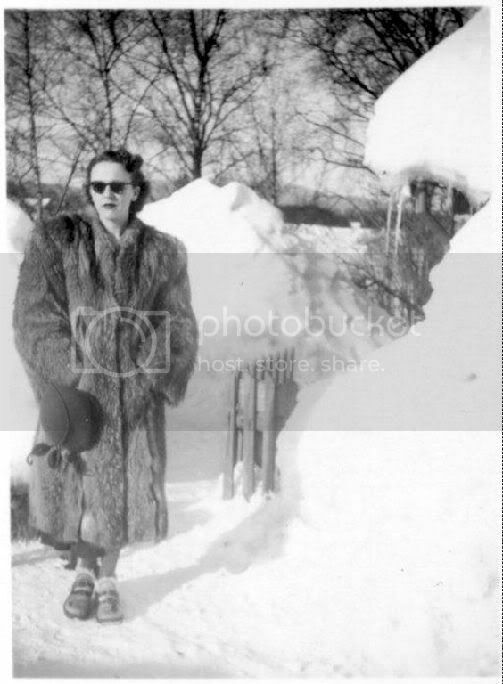 Eddie was paid well by the German intelligence, and could give Dagmar, here pictured in a fur coat, luxurious gifts. Chapman was lavishly paid by the Germans, and offered Dagmar all the luxury she could imagine in the meagre days of war. They worshipped their affection, swam naked in the fjord and made love in the forest. Soon they moved in together in a pretty house in Kapellveien 15, together with two men from the Abwehr who "looked after" Chapman. The house had been taken over after the Jewish Feldmans, who were killed while escaping to Sweden. Chapman saw how Dagmar was suffering from the rumours, and the stamp as a German whore. During a boating trip on the fjord, with a bottle of cognac for lunch, he could not keep his secret anymore. In the twilight hour he took her in his arms, told her that he was a British double agent, and that the Germans would soon send him on a new mission to England. Dagmar was very relieved, and swore to never reveal his secret. At the same time, she was able to tell him about her affiliation with the Norwegian resistance movement. After having tested her credibilty as a woman of the resistance movement, Chapman unofficially recruited her to the British secret service, according to the MI5 archives. Dagmar and Eddie planned their life together after the war. They intended to open a nightclub in Paris, have children and travel around the world. But meanwhile, Dagmar was supposed to continue gathering information on the Germans, and Chapman promised to put MI5's contact with her in order as soon as it was safe. At the same time he made sure that 600 NOK was transferred to her every month from his well-filled Abwehr bank account. 8th of March 1944 Chapman left Oslo for new spy missions. The farewell was tough, and he had an uncertain and unsafe future ahead of him. Dagmar's situation was not better. She got paid through the Abwehr, and worked for the Norwegian resistance and British intelligence. If Chapman was revealed, she would probably be too. If Germany lost the war, she could be punished for fraternising with the enemy. Dagmar cried, but said she wasn't afraid. She repeated the promise of never giving him away. He promised to come back and get her one day. It never happened. Chapman lived a volatile and adventurous life until his death in 1997. 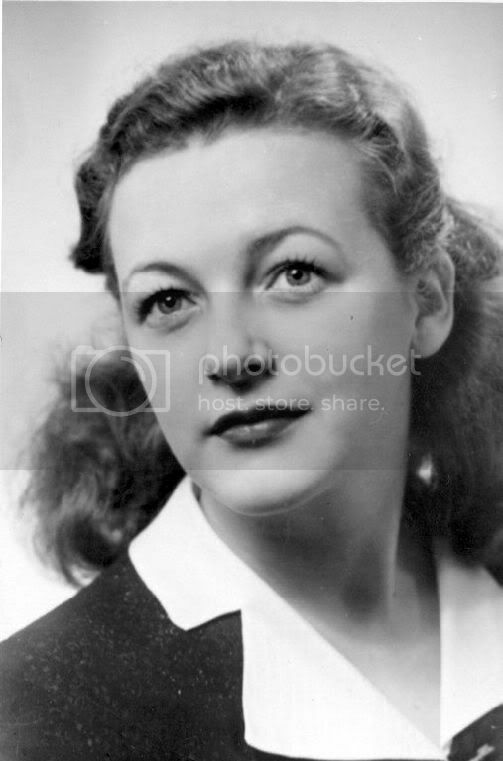 Dagmar, on the other hand, kept her promise, and accepted a fine during the treason trials in 1947. She had a few relationships, but never married. As a pensioner, she lived in isolation, and only a handful of family members and friends showed up at her funeral in Oslo in 1999. - My aunt never mentioned a word about her working for the resistance or the British, but the neighbours used to gossip that she was a "German whore". Neither did she ever speak of her relationship with Chapman. 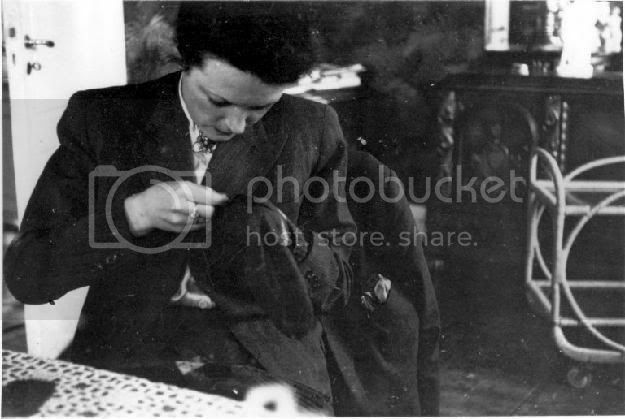 But after her death I found a letter, written on air mail paper, styled to him. I never read it, just threw it away, as it was private, says Dagmar's niece Bibbi Røset. Until her death, Dagmar kept her promise of silence to the love of her life, and thus never got redress or her rightful honour. Not until now. * - "German whore" (Norwegian: tyskertøs) a pejorative used to described Norwegian women that had relationships with German officials during the Second World War.